So I went to see this when it came out in cinema, and I was sadly out of the blogosphere when it hit, so I didn’t write about it. I recently purchased it in Blu Ray and I was interested to see whether it would hold up for a second viewing, and if the experience would be diminished any by not seeing it in theatre, on a big screen. Well, let me tell you, no disappointment to be had over here! I thought that Bohemian Rhapsody was just as good at home as it was in the cinema, I don’t feel like any magic was lost. So, let me see what I can say about this movie… obviously it had one of the best soundtracks of all time xD Seriously, I absolutely loved listening to the music, seeing it come to life on the screen, it was great and there were so many moments where I had goosebumps because wow. So on to the performances. I am not usually a fan of Rami Malek. I don’t know, I’ve never actually liked him outside of his video game portrayal of Josh in Until Dawn. So when I heard he had been cast to play the iconic Freddie Mercury, I was dubious to say the least. I mean, he isn’t a terrible actor or anything, he has just (until now) not really done anything that has really blown me away. Then I saw pictures of him as Freddie and I was quite surprised. By the time we had hit the trailers, I was really excited, and Malek nailed it. Not only is Malek fantastic, but the rest of the cast playing the members of Queen are brilliant and cannot be overlooked. Gwilym Lee’s Brian May, Ben Hardys’s Roger Taylor, and Joseph Mazzello’s John Deacon are excellent. The actors had wonderful chemistry and it was great to watch them. Such solid performances all round from them, and man, they nailed the look of each of the band members. Excellent casting – not only did everyone look right, they appeared right, too, without stuffy performances. I really liked that the movie stayed more with the band and the music as opposed to a tell all scandalous interpretation of everything. I get that there was drama and all that, but that is so not why I went to see this. So yes, the narrative is a little skinny and all that, but that takes nothing away from it. What you need is there – some drama, some backstory, some struggle and all that, but the movie focuses on the band and the music, and I appreciated that. Also, there was some highly entertaining humour sprinkled through it. Naturally, this review would not be complete if I didn’t mention that phenomenal Live Aid performance, so here it is. Wow. I was so impressed with the level of detail that went into this (especially if you take the time to watch the two side by side). I love that such care and attention went into it. 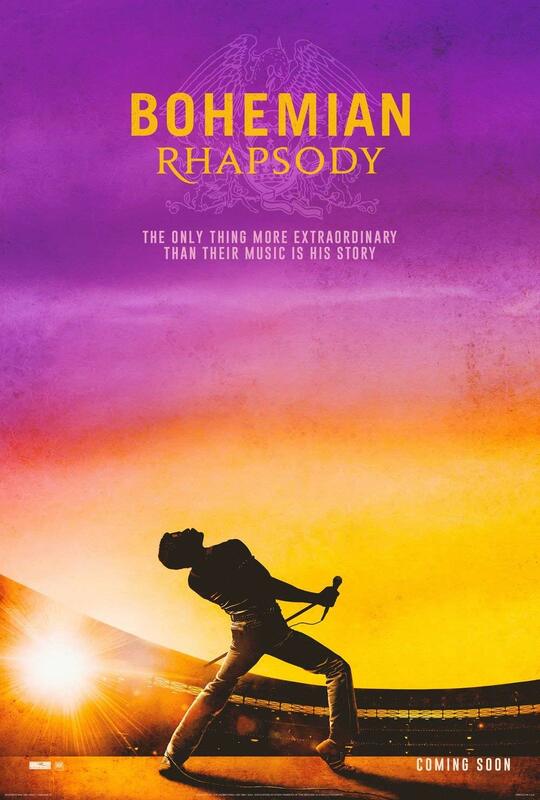 So, overall, I obviously highly recommend checking out Bohemian Rhapsody. It is not a biographical, gossipy tell all or anything like that, but if you like Queen (hell, even if you don’t), and you like the music, then this is well worth the look see. It is just as charming the second time around, and even my husband willingly rewatched it (seriously, no coaxing or begging or anything, he asked!). I had a great time with this, and I can see how I will go back to it a few times. Okay, I am going to stop here. Just go watch it.